Former professional rugby player Joe Worsley holds the rare accolade of being a World Cup winner thanks to his involvement in the 2003 event in Australia. As such he is now well placed to deliver motivational and insightful speeches about his time in the sport and does so with passion and a great sense of humour. Playing as a member of the pack at flanker, Worsely joined his first team, Wasps, at the age of 16 and went on to become the youngest ever player to represent England at Under 21 level and soon progressed through the ranks. A fine ball carrier and someone with great defensive skill, Joe has played across the back row and as was a key player for England throughout his career, not least during their 2003 World Cup campaign. Scoring 50 points for England in 78 caps, Joe also represented the British and Irish Lions once in 2009 and played 275 times for London Wasps between 1993 and 2011, clocking up 195 points in that time. 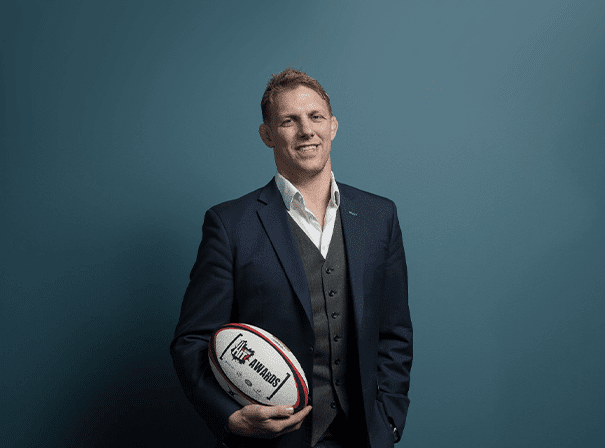 Following his retirement from playing the game, Joe is now defence coach of French top 14 team Bordeaux Begles and is involved in plenty of charitable work with disadvantaged children and young people in Britain and Ireland. To have Joe come and speak at your event, represent your charity or share some of his rugby knowledge, please contact MN2S in London.